As always Reliance Jio launching the New data packs in the market which gives the tough competition to its competitors Like Airtel, Idea, Vodafone & More, This time Reliance Jio has recently launched a range of new prepaid recharge plans. Jio's new prepaid recharge plans start at Rs. 19 and goes up to Rs. 9,999. 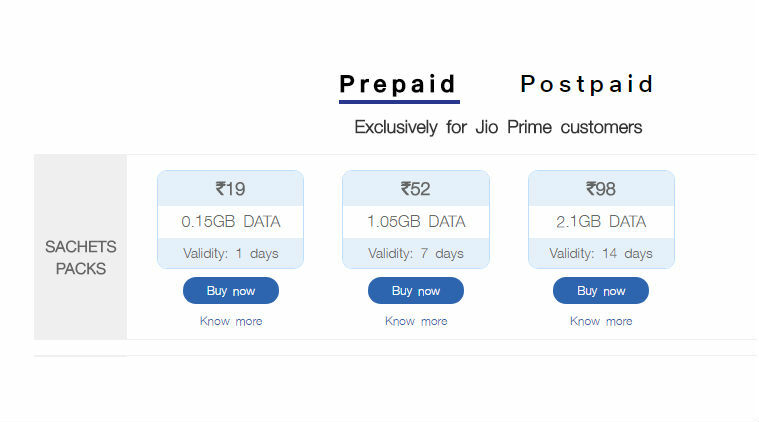 Most of Jio's prepaid plans offer 1GB to 5GBs of high-speed daily 4G data and come with different validity periods. Let's have a look on the plan and their validity. Reliance Jio's Rs. 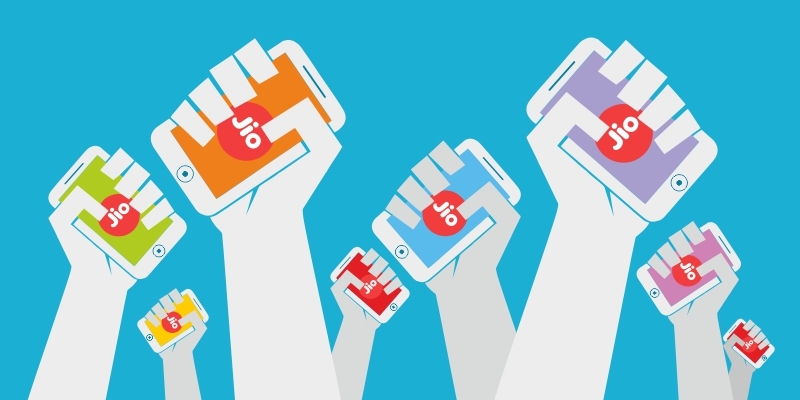 19 sachet pack offers 0.15GB of high speed 4G data, after which the internet speed gets reduced to 64 Kbps, said Jio. This pack of Jio comes with free and unlimited local, STD and roaming voice calls. Jio's sachet pack of Rs. 19 also offers 20 free SMSes. The validity of this pack is 1 day. Reliance Jio's Rs. 52 sachet pack offers 1.05GB of high speed 4G data for the validity period with a daily cap of 0.15GB data, after which the internet speed gets reduced to 64 Kbps. This pack of Jio comes with free and unlimited local, STD and roaming voice calls. 70 free SMSes (short message service) are bundled along with this sachet pack. The validity of this pack is 7 days. Reliance Jio's Rs. 98 sachet pack offers 2.1GB of high speed 4G data for the validity period with a daily cap of 0.15GB data, after which the internet speed gets reduced to 64 Kbps. This pack of Jio comes with free and unlimited local, STD and roaming voice calls. 140 free SMSes (short message service) are bundled along with this sachet pack. The validity of this pack is 14 days.